23x8mm. 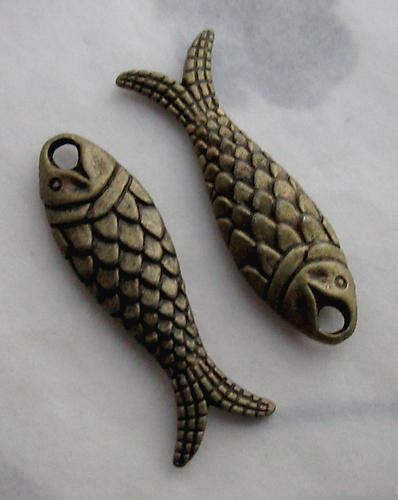 Antiqued brass plated fish charms. Jewelry supplies.